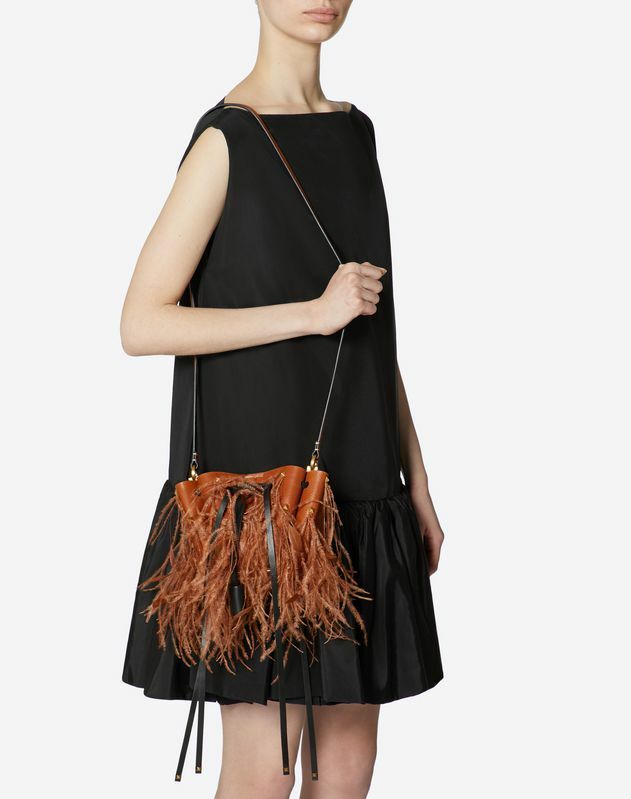 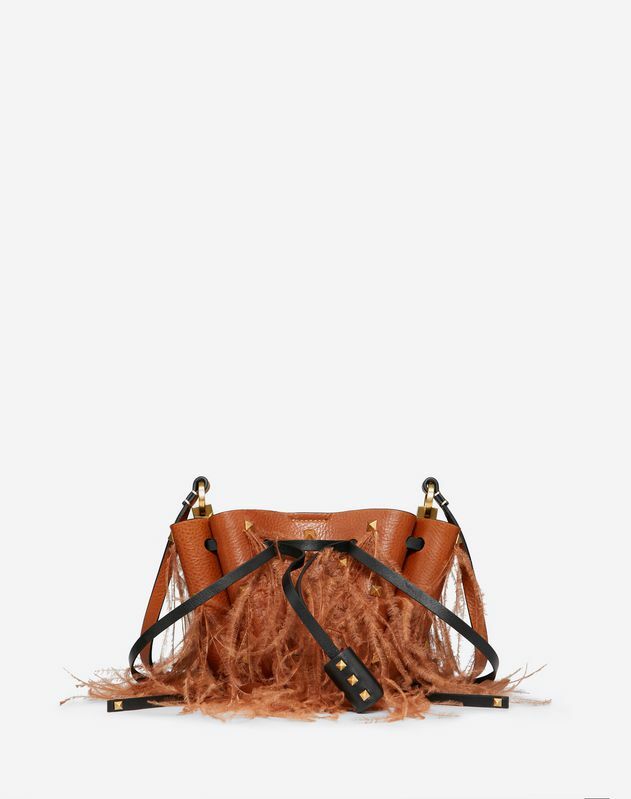 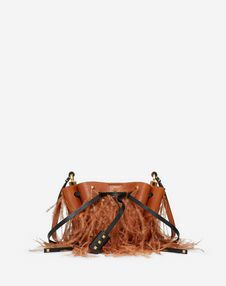 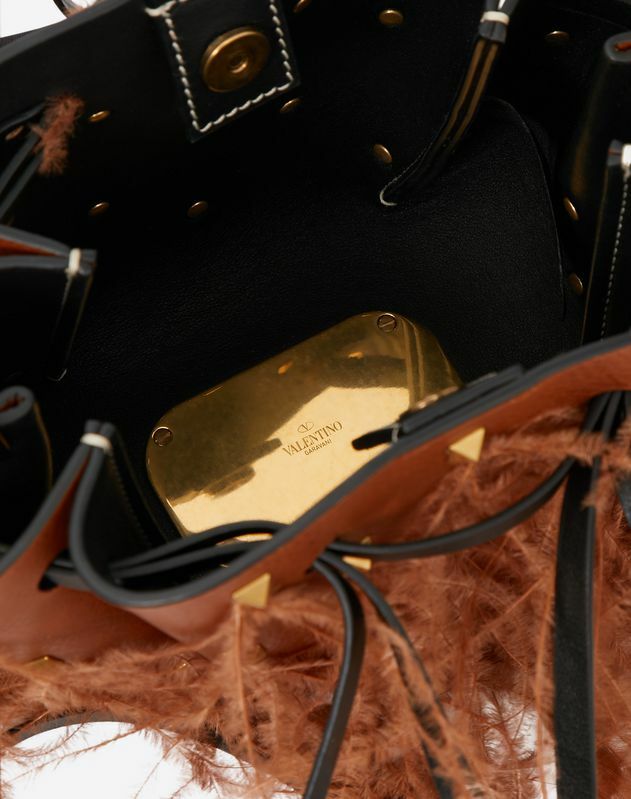 Small Valentino Garavani Go Logo cowhide bucket bag with lining and ties adorned with small studs. 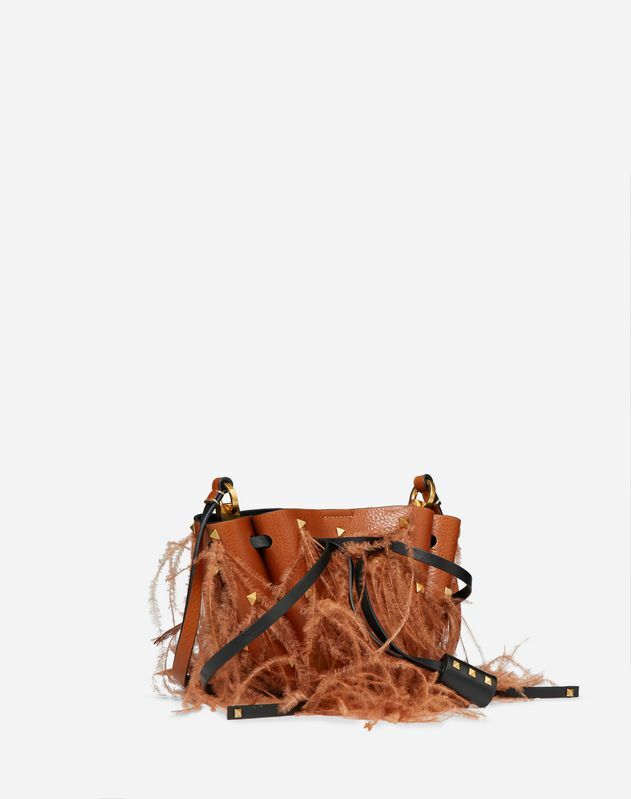 Matching feather details. - Dimensions: W14 x H14 x D9 cm / W5.5 x H5.5 x D3.5 in.